I’ve done a different looks using yellow eyeshadow, and although it’s not the easiest to work with, it sure is fun to wear. 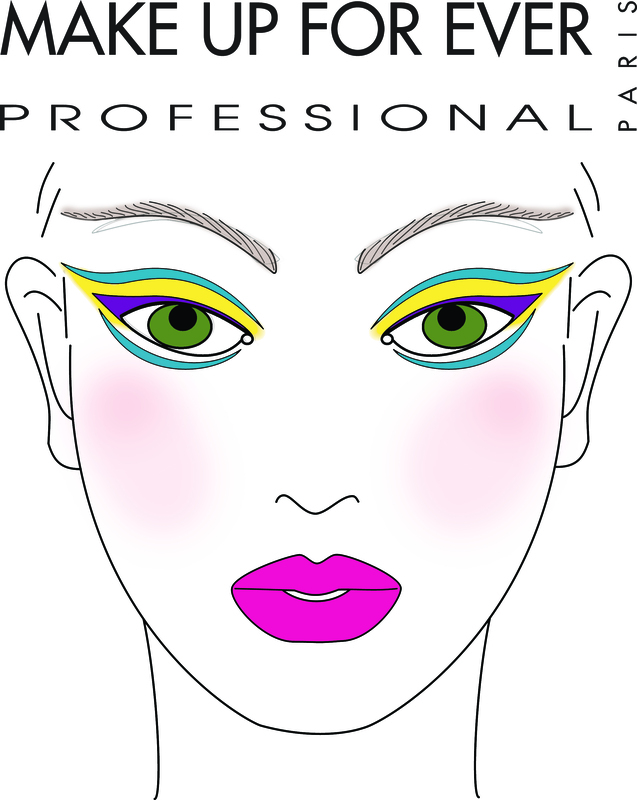 A few weeks ago, Make Up For Ever (MUFE) released their new Aqua Cream colours for summer – lime green, purple, baby blue and bright yellow. I have the MUFE 12-colour Flash Palette and have always loved the creamy texture of the Flash colours, so when I heard that the Aqua Creams were similar, but waterproof, I knew they would be perfect for summer. 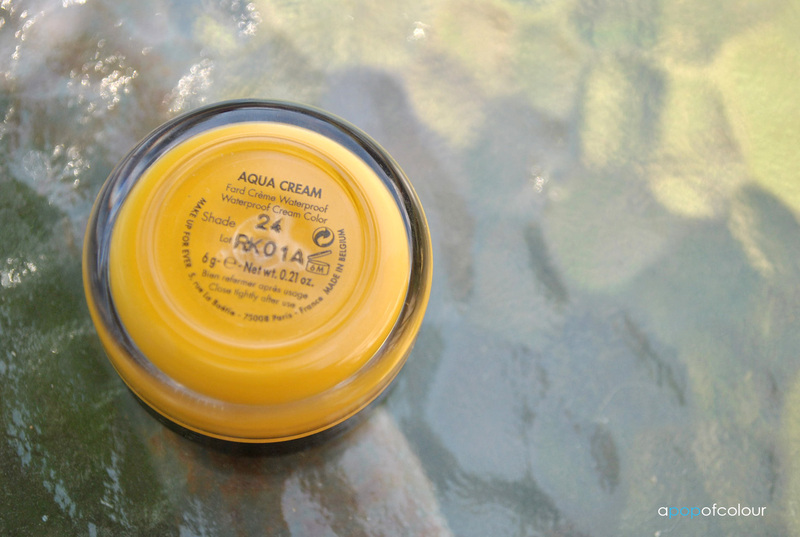 Aqua Creams are smudge-proof, crease-proof, melt-proof and waterproof, and once you apply them the product forms a different texture. It’s hard to explain; it’s really creamy in the pot but then once the shade sets it’s more of a rougher texture, which is perfect because once it’s on, it’s gonna stay there (as a side note: you have to work fast with these, as they dry quickly and set on your skin). 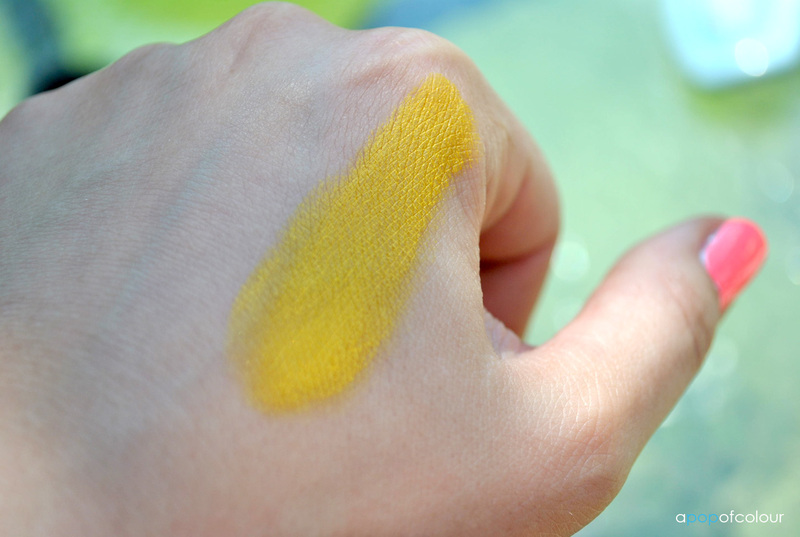 MUFE was kind enough to send me over the yellow Aqua Cream (shade 24), and although you can use this product on your eyes and cheeks, I probably wouldn’t go around sporting it there (unless you like that jaundiced look). I applied the colour all over my lids and then used Maybelline’s 24-Hour Color Tattoo in Bad to the Bronze along the lower lash line. To finish up the look I used MUFE’s Aqua Eyes liner in black (my favourite pencil liner). For mascara, I used YSL’s Faux Cils Shocking in black. 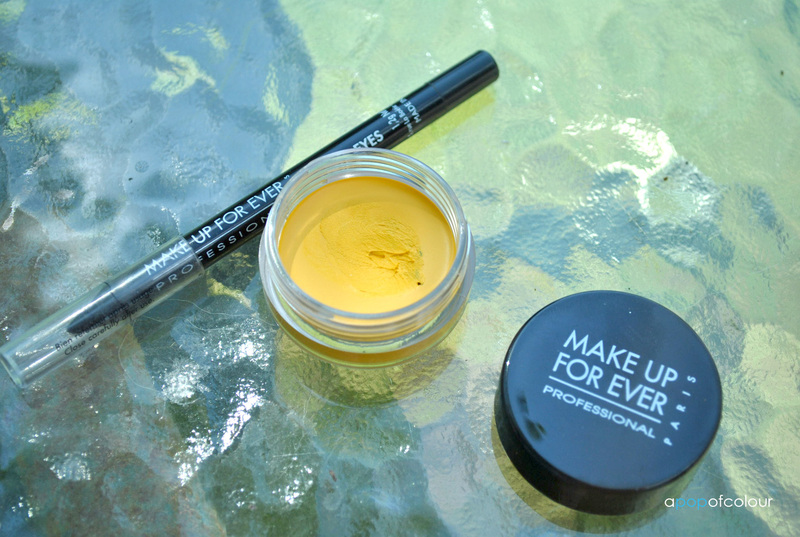 Now not only are these products great for the beach or pool, but Make Up For Ever is also the official makeup partner with Synchro Canada, which totally makes sense because synchronized swimmers totally need flashy makeup too, right? In fact, they created a Circus look for the Canadian Olympic Synchro Free Routine look which uses the colours from the summer line. This was my first foray into Aqua Creams and I definitely want to pick up a few more (more wearable colours). These are really great and can be used either alone or as an eyeshadow base. 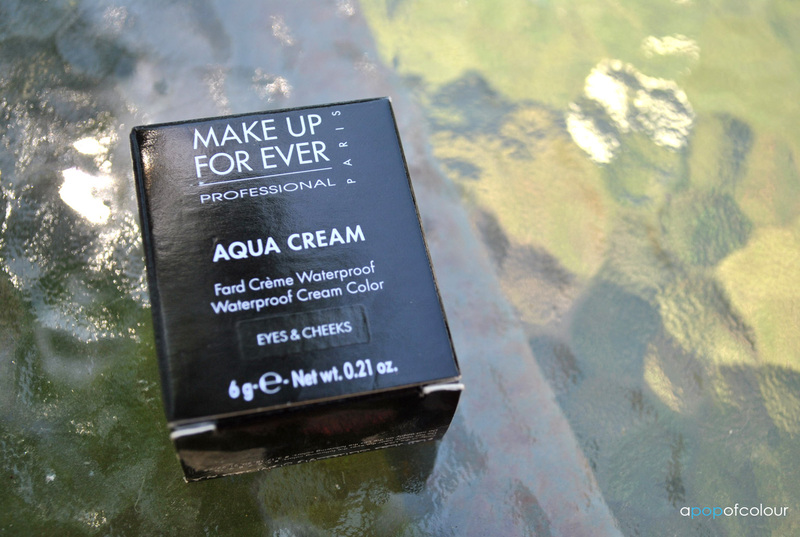 Have you tried Make Up For Ever’s Aqua Creams? Don’t forget to enter my Sally Hansen Avril Lavigne Salon Effects giveaway! Ends today! Please note that I was sent these products for review purposes. All opinions are my honest own.